Spring shoes might be my favorite thing to purchase once the weather starts getting warmer! Especially here in Texas where the weather is bipolar and you might still be wearing winter-ish clothes but you can throw on some spring shoes and feel a little better about the cooler temps! I recently purchased a few new shoes for spring/summer and I found so many great deals! I’ve said it before but I am super hard on shoes so I usually won’t spend more than $50 on a pair! I did a poll and it seems like most of you like to keep it budget friendly so I rounded up several great options for you & I know you will love them all! This style is HUGE this year & I am loving it! They take any outfit and make it feel more springy! Trust me when I say if you have been eyeing this trend, just go for it! You won’t regret it! These are booties and heels you can still get by with going in to spring/summer! Pair them with a short romper, shorts or jeans and a tank and you are set! 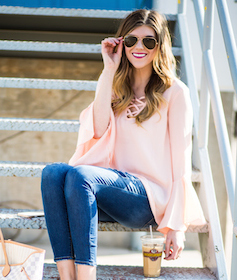 These are all so fun and easy to pair with a casual outfit this spring! Okay I hope that gave you some good spring fever for your feet and now you can go shop! I have several of these shoes I’ve shared so if you have any questions regarding sizing or quality please reach out to me! Happy Tuesday Shoesday!